Turner Drake & Partners Ltd. In every Province in which we operate, assessing authorities are willing to discuss assessments prior to their values being inserted onto the official assessment roll. In our experience, such preliminary consultations often produce better results- at lower cost- than waiting to file formal appeals. Nova Scotia’s assessing authority, the Property Valuation Services Corporation- the “PVSC”- and its predecessor, Service Nova Scotia and Municipal Relations, is a pioneer in this regard, and has been pre-publishing its assessments for over twenty years. Owners with concerns with their proposed assessments have about eight weeks to contact the PVSC: assessors have the ability to amend values until the last week in November. The 2019 roll officially closes on December 1st. PVSC’s management embraces the opportunity to discuss assessments (and to make changes, where warranted) at the “pre-roll” stage. Property owners are encouraged to avail themselves of this opportunity, and PVSC should be commended for publishing its proposed 2019 values. Of course, it’s not always possible to engage in preliminary consultation, as not all values will be available with sufficient “lead time” in advance of the filing of the roll. But where the opportunity presents itself, my advice is always to be proactive, and to address a problem before it becomes one. A stitch in time saves nine. Giselle Kakamousias is the Vice-President of Turner Drake’s Property Tax Division. Her experience negotiating and appealing property assessments is extensive: it is a wise property owner who follows her advice. If you’d like more of it, she can be reached at (902) 429-1811 ext. 333 or gkakamousias@turnerdrake.com. It is a common misconception that a piece of real estate has a single value. This is simply not true. Determining which value is appropriate likely has the biggest impact on property value. The Royal Institution of Chartered Surveyors’ Global Valuation Standards, specify six types of real estate value (Market, Rental, Equitable, Investment, Synergistic, and Liquidation). The Appraisal Institute (of America) has identified ten distinct, and valid, property valuation bases in common use in North America. Legislation, case law, and the purpose of the real estate assignment, result in many variations of these property valuation bases. 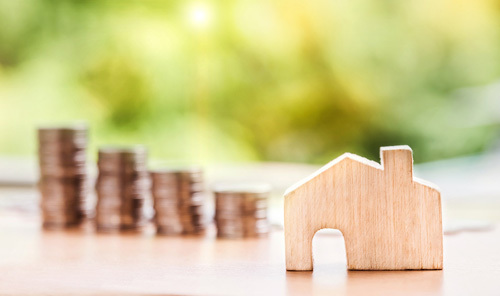 Any conversation about valuing your property has to start therefore with an understanding of the purpose of the valuation assignment or you can end up with a conclusion which is worthless at best, or seriously misleading at worst. Let’s discuss the two most common types of value. Market Value (Highest and Best Use) is typically quoted and understood by many (including appraisers) to be the only type of value. It is the highest price you would get for your property on a specific date, if it was offered for sale, properly marketed, and exposed for a sufficient period of time to alert and allow all potential purchasers to submit offers. It assumes that both seller and buyer are knowledgeable of property values, that neither are under pressure to sell or buy, are typically motivated, and are each acting in their best interest. It assumes a cash purchase, or typical mortgage financing, in Canadian dollars. It also anticipates that the purchaser will be able to put the property to its “Highest and Best” use, which may for example, include redevelopment, if this will create a higher value than the existing use of the property. But beware, Market Value is not the price you could expect to get if the purchaser (1) was an adjoining owner, (2) was undertaking a land assembly, (3) was a relative or business associate, (4) knew something that the vendor should have known but did not, (5) did not know something known to the vendor of which the purchaser should have been aware, (6) wanted a “vendor take back” mortgage, (7) intended to lease back the property to the vendor, (8) enjoyed a negotiating advantage because, for example, the vendor was in dire financial straits, … and so on. I was recently contacted by an existing client looking to secure financing for their property located on the Halifax Peninsula. Their property was improved with an older, single storey commercial building. The underlying land was worth considerably more than the building and property under its current use. After discussing the purpose of the assignment with the client and their bank, it became clear that the bank was interested in more than just the Market Value (Highest and Best Use) of the property in this instance. The bank’s goal was to determine if the income generated by the property, under its current use, was sufficient to keep the lights on and pay the existing mortgage. However, the bank also wanted to know what they could expect to sell the property for if they ended up taking possession of it and selling it on the open market. Effectively, the bank had two different goals which gave rise to two different values. We completed a thorough analysis of the property and provided the owner, and their bank with two values (1) Market Value (Highest and Best Use), which in this case was for redevelopment of the property, and (2) Market Value (Value in Use) as it currently exists without regard to redevelopment potential. 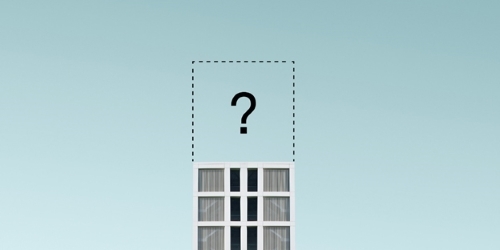 Market Value (Value in Use) is similar to Market Value (Highest and Best Use) but is based on the assumption that your property could only be utilised for its existing purpose. In this instance the difference in value was significant: $1.5 million (Market Value - Value in Use) versus $2.3 million (Market Value – Highest and Best Use). Both values were included and supported in the report, allowing the bank to make an informed decision on lending. Looking for explanations on the different types of values listed above? Visit our Valuation and Advisory Services site https://www.turnerdrake.org/WhichValue for more information on the various types of values. The Halifax Regional Municipality is in the throes of moving its long awaited Centre Plan from draft to reality. With the first package of draft policy and regulation released in late February, it’s come a long way from the high-level guiding document that Turner Drake assisted with in 2016. However, there is still a ways to go. As one might imagine, when replacing multiple planning policy and development regulation documents for the most dynamic and complex urban environment in Atlantic Canada, the devil is truly in the details. One of the biggest details being grappled with is the deployment of density bonusing, which is principally designed as an affordable housing tool. Depending on what you read, the current framework may actually backfire by delivering no affordable housing and even drive up market-rate housing prices by suppressing supply, or it may be perfectly fine and a good replacement for present ad hoc negotiations which are falling short of the Centre Plan’s achievable outcomes. Either way it provides an opportunity to highlight the perks and pitfalls of this increasingly common strategy. Density bonusing is a planning policy tool whereby new development projects can access higher regulatory limits on built area in return for provision of some public benefit. In other words, trade height for amenities. It is sound in concept. The value of urban land (but not the buildings on it) is primarily driven by where it is located, and what can be done on it. Thus, it is value created by our collective society through the infrastructure and services provided to it, the legal framework that governs it, and the surrounding public and private activities which would make one desire a particular location over another. When local governments “add density” by increasing regulatory limits over what is currently anticipated by the market (i.e. already reflected in its price), they literally create additional land value out of thin air. In requiring a developer to provide public benefits for this added density, local governments are recapturing the value they created in the first place. There is an obvious tension here in terms of why this ‘bonus’ density was not permitted in the first place, but in the messy world of city-building, ideological purity will always lose to practicality. Density bonusing thus becomes something akin to racketeering: nice development application you’ve got there… what say you give us some art and affordable housing, and maybe that shadow ain’t so bad anymore. It is important to note that all but the last factor on this list are determined by the real estate market. The value captured is set by the municipality, and is typically based on an estimation of the value of the bonus density. In HRM, the tradeoff of density for benefits is structured under a predefined framework. Other municipalities negotiate these arrangements on a case-specific basis, but this approach it generally used in far larger centres due to the complexity and sophistication involved. Roughly speaking, development projects are feasible in areas where the market price for land exceeds the value of properties as currently developed. Adding a density bonusing program to the mix will increase the redevelopment value, but also add a new cost in the form of requisite public benefits. On net, this is usually a positive value; these programs are designed to recapture only a portion of the value they create. It should be apparent that density bonusing is not, in principle, a drag on development. In fact, a properly designed program should improve the feasibility of existing projects and even increase the total pool of viable projects where the net positive addition of value (bonus density minus benefit cost) actually tips the balance of feasibility. For all intents and purposes, this is indistinguishable from a basic upzoning. Where Can It Go Wrong? 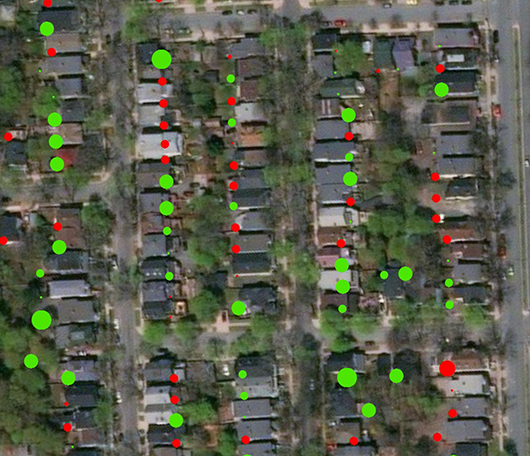 There are plenty of opportunities for density bonusing programs to go awry, but most are the usual pitfalls of any public policy. There needs to be a logical and efficient administration process. The program needs to be supported by accurate data so that its function lives up to its intent. Appropriate buffers needs to be left to account for secondary costs and added overhead created by the program itself. There needs to be additional mechanisms in place to deal with the outputs (this is an important topic of conversation in the Centre Plan context, in which the majority of benefit is supposed to be in the form of affordable housing while the municipality has no formal jurisdiction or established programming). However, the fundamental issue of whether a density bonusing program works is the value relationship between what is proposed, and what exists today. Most of the debate and discussion in HRM has been focussed on aspects of the former: what is the best value capture rate to use, what is the right threshold for triggering the bonus requirements, what are the correct value assumptions? Important questions, but their answers are all derived from the latter issue, not determined in a vacuum. At the scale of a city, form follows finance. Whether density bonusing is implemented or ignored by the private sector will ultimately depend on whether the total value of entitled and bonus density, less the cost of delivering it (development costs plus public benefit), is a sweeter deal than exists today. If a profit incentive exists, a badly designed program will still deliver. If a perfectly designed program equates to a downzoning, don’t count on anything happening until prices rise, or losses are written off. How to Get it Right? As municipal planning increasingly makes use of economic and market-based tools (and it should) it also needs to expand its understanding of the principles and systems that underpin them. Weight does need to be placed on the market conditions of the present given their influence on the future (to say nothing of the municipality’s complicity in forming them). The traditional approach would state planning policies cannot be captive to past practices and existing conditions, otherwise change would never be possible. While this is true, it is not justification for being willfully ignorant either. Understanding the basic value relationship between today's conditions and those proposed under new policy is the key to understanding whether density bonusing, or any planning policy for that matter, will deliver on its promise. 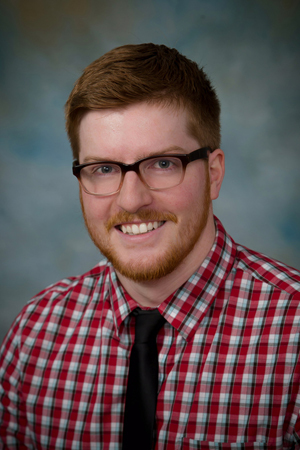 Neil Lovitt, our Senior Manager of Planning & Economic Intelligence can be reached at 429-1811 ext. 349 (HRM), 1 (800) 567-3033 (toll free), or nlovitt@turnerdrake.com. Retail or Office – What’s the Difference Anyway? The Building Owners and Managers Association (BOMA) publishes measurement standards for office, industrial, retail, and mixed use spaces. These measurement standards provide guidelines for measuring the area occupied by each tenant within a building and, when appropriate, allocating common spaces. BOMA states that if a building contains a single occupancy type comprising 51% or more of the total building area, the corresponding standard should be used. In other words, the building owner does not have the right to simply choose the standard that best serves their interests. Given the ubiquity of commercial buildings that can be used for both office and retail uses, particularly in suburban and rural areas, it is critical to understand the differences between these standards. Under the Office Standard, building owners can allocate to each tenant their proportionate share of common area. This process of “grossing-up” the tenant’s space means each unit has two areas: a Tenant Area (the space physically occupied by the tenant), as well as a Rentable Area (the Tenant Area plus a proportionate share of common space). In a retail building this is not the case, as this Standard does not allow for the grossing up of common areas. Under the Retail Standard, Gross Leasable Area is simply the area designed for the exclusive use of an occupant with no share of common area. Consider a hypothetical office unit with a Tenant Area of 1,250 ft.2 located within a building that contains three additional units of the same size and 200 ft.2 of common area. 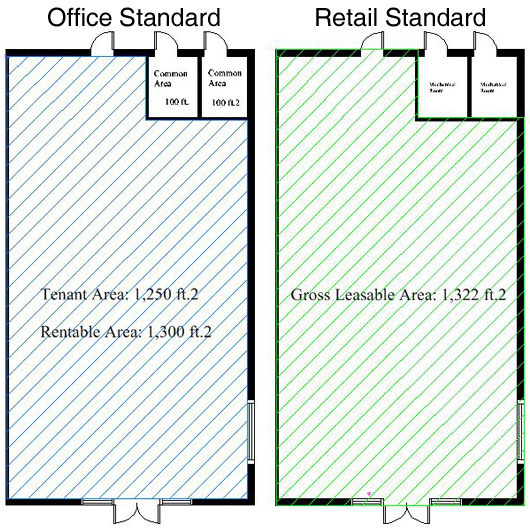 Each unit comprises ¼ of the total Tenant Area, and is allocated 25% of the common area (25% x 200 ft.2 = 50 ft.2) making the Rentable Area of the unit 1,300 ft.2 (blue overlay on left side graphic below). If this were a retail building the Gross Leasable Area would be 1,322 ft.2 as this unit would simply be measured to the exterior face of all exterior walls, while excluding any allocation of building common areas (green overlay on right side graphic below). These are just two of the many differences between the Retail and Office Standards. With a total of six BOMA Measurement Standards it is critical to verify that the correct standard has been applied to your building, and that your space has been certified to verify its accuracy. 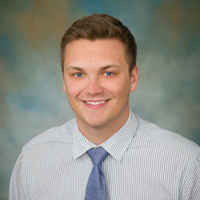 Mitchell Jones splits his time between Turner Drake's Lasercad® and Valuation Divisions. For further information feel free to reach out to him, or any one of our space measurement experts at (902)-429-1811 or toll free at 1-800-567-3033. HRM's Mansplainer of the Year? On February 5th, Scott Armour McCrea, CEO of The Armour Group, took to the airwaves to ridicule Alexandra Baird Allen, the Manager of our Economic Intelligence Unit … the cause of his angst, an earlier CBC radio interview with Alex on the results of a Halifax Central Business District (CBD) survey which revealed an office vacancy rate of 17.3%. Labelling her conclusions “manufactured hysteria” Mr. McCrea disparaged the survey results, questioned the competence of Alex, her survey team and Turner Drake … and ignited a gender war: “Mansplainer” was perhaps the most polite invective hurled in Mr. McCrea’s direction (we are keeping a list… it’s not pretty but quite informative… we might publish it). So what was it all about? Scott Armour McCrea is a developer and a very important man, as he so informed the CBC, the largest private office landlord in the city. In sonorous tone and displaying gravitas befitting a man with gaze firmly fixed on his own navel, Mr. McCrea revealed that “no other real estate professional uses the Turner Drake data”. In fact, he confided, no actual practitioner agrees with them! He then proceeded to reveal why … the full Monty so to speak. 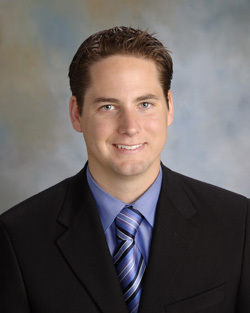 Turner Drake, Mr. McCrea intoned, is a minor player in the leasing field completing only 2% of leasing transactions while actual practitioners such as brokers CBRE, do 30% to 40% and publish their own survey. CBRE pegged market absorption at “about 300,000 ft.2 a year” stated Mr. McCrea, “not the 25,000 ft.2” calculated by Ms. Baird Allen. The Armour Group, Mr. McCrea’s company, did their own survey as well and estimated the vacancy rate at 13% to 14%. … and most vacancies were in buildings most people would “never, ever want to work in”. And the problem was exacerbated by the Province who were so concerned about saving taxpayers’ money, they insisted on consigning their employees to space that only the private sector would tolerate. But that, he confided, was about to change. The real reason though for the problem: “if there is a problem in Halifax and I am not suggesting there is”, was that the City was “under-demolished”. So what are the (non-hysterical) facts? Alex has been a valued colleague for twelve years, is a Chartered Surveyor and has a degree from the University of New Brunswick, a Diploma in Urban Land Economics from the University of British Columbia and an Advanced Diploma in Geographic Information Systems from the Centre of Geographic Sciences at Lawrencetown, one of the top three GIS institutes in Canada. She combines her work as Manager of our research group with her role as a mother of twins. We have never known her to engage in hysteria, manufactured or otherwise. The office surveys are, we believe, the most comprehensive conducted in Halifax and cover all rental buildings 5,000 ft.2 or larger. They are a structured survey using purpose designed survey instruments and software, deployed by a team of trained researchers. The survey to which Alex alluded in her CBC interview had a response rate of 89% (previously we have achieved 98% but this time a large landlord, The Armour Group, refused to participate). We do have human and programmatic error traps in place for quality control purposes but recognise that they are not yet infallible so seek to have as many eyes on the results as possible and offer the full survey to any participant who would like a copy. 40% take advantage. One such recipient, was kind enough to point out not one, but two errors, in our December 2016 Halifax office survey. We are not perfect, but we are transparent. We corrected the errors, reissued the survey, changed our software to catch similar human errors and published a correction, apology and thanks in our Spring 2017 Newsletter to the gentleman who had so diligently scrutinised the survey, Mr. McCrea. Our Market Surveys are undertaken by a research team independent of our Brokerage Division. The volume of their lease transactions is therefore unrelated to the amount of research undertaken for the Market Survey. In any event we cannot utilise data gathered by our Brokerage Division for the Market Surveys because that would be a breach of confidentiality. The CBC interviews were focused on the Halifax CBD. 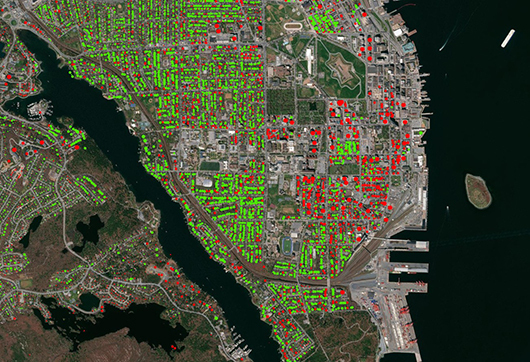 Ms. Baird Allen’s data referred to the Halifax CBD. Mr. McCrea’s interview focused on the Halifax CBD… unfortunately the CBRE data he referred to did not. It pertained to the wider HRM metropolitan market. CBRE’s estimate of the vacancy rate for the Halifax CBD is very similar to our own (18.5% versus our 17.3%). A world away from the 13% to 14% cited by Mr. McCrea. CBRE’s vacancy rate for the entire HRM office market was 15.5% (we place it at 14.97%)… probably the source of Mr. McCrea’s confusion. There will always be some differences between the Turner Drake and CBRE survey results, an important factor being that our survey does not just focus on larger buildings but covers some as small as 5,000 ft.2. Mr. McCrea’s comment that the “annual market demand was 300,000 ft.2 not the 25,000 ft.2 quoted by Turner Drake” was similarly erroneous. Alex’s figure of 25,000 ft.2 referred to the CBD, which, after all, was the subject of the CBC interview to which Mr. McCrea was responding. It was based on the average market absorption over the past five years. CBRE’s estimate of annual market absorption of 308,944 ft.2, referenced by Mr. McCrea, referred to the entire HRM market. Mr. McCrea’s comment that most of the vacancies were in buildings that most people would “never, ever want to work in” does not accord with the facts. Class A buildings have an average vacancy of 21.8%. We concur with Mr. McCrea that many office buildings will have to be demolished or repurposed, Alex pointed this out in her CBC interview. However 625,750 ft.2 of the 879,665 ft.2 of currently vacant space would have to be taken out of service to restore equilibrium to the downtown office market… the aggregate of the former Bank of Montreal tower, the former Royal Bank tower, Founders Square and … volunteers anyone? Oh but Mr. McCrea is adding another 125,000 ft.2 at Queen’s Marque… let’s see, what else for the wrecking ball…? We politely pointed out to Mr. McCrea his confusion with the CBRE survey statistics and gave him the opportunity to rectify the error. He did not respond. As for the mansplainer moniker… nothing we can do about that... we trust he is not consigned to the couch. Probably have to make his own coffee from now on though. Another few years passed, another resurgence of attention and debate on Nova Scotia’s Capped Assessment Program. Municipalities are once again beating their drum against it, reiterating well-worn criticisms and receiving well-worn rebuttals. The public is largely disinterested, unfortunately, and the Province is loath to make the necessary changes without a strong call to action. The issues are not intuitive, and the impacts are largely invisible, and thus the CAP has immense political inertia. With governments thankfully enacting open data policies, making publicly funded data publicly accessible, Turner Drake & Partners has now been able to crunch the numbers for more than 140,000 taxable residential assessment accounts in the Halifax Regional Municipality (HRM) to show just how ineffective this public policy has become. What is the Capped Assessment Program? The mechanics of the CAP, and the basics of its problems, have been explained many times over. Sources abound, but our own Property Tax professionals have previously covered the topic in our blog, as well as our recent company newsletter. Therein lies the problem. It is a program that only redistributes the tax burden. Some pay less, but the taxman gets his due, and so others pay more to make up the difference. The problem arises in how the CAP decides who is to pay more. An assessment-based property tax system is not perfect, but one of its strengths is that property values generally correlate well with a household’s ability to pay. Of course this is not always true, and in fact the original purpose of the CAP was to alleviate situations where rural families were being priced off their land because Ethan Hawke bought the island next door. This is a valid issue that deserves a policy response, and we know that the CAP has helped people in this regard. However, by taking a broad based approach to solving a very acute issue, the program has created far more inequity than it was ever able to solve. The CAP introduces distortion to the assessment system, reallocating tax burden based on occupancy length and tenure type. Most critics frame this issue as being arbitrarily unfair and use maps like the one below to illustrate the random nature of its distortions; houses in the same neighbourhood, with the same services, but carrying different tax burdens. Today the CAP is championed as the way to bring “stability, predictability and affordability” to the taxpayers writ-large. In reality, the CAP generally fails to deliver these supposed benefits, while systemically giving the greatest assistance to those that least need it, by taking from those who can least afford it. To help illustrate the outcomes of the CAP, Turner Drake’s Economic Intelligence Unit compiled data from the Property Valuation Services Corporation’s DataZone for the 2017 assessment year, budget and tax rate data from the Halifax Regional Municipality’s website and Open Data Portal, and socio-economic data from Statistics Canada. Assuming the municipality would uniformly adjust tax rates to offset the 11% increase in assessment under a CAP repeal, our analysis allows us to estimate who is currently paying more and who is paying less, by how much, and whether these outcomes have social or spatial patterns. Every municipality is different, but with HRM comprising the greatest variety of settlement types, 44% of the population, and 55% of the total provincial assessment base, we find the results instructive. Urban – Spatial patterns in the urban areas are remarkable. Whether your kitchen has a view of the Northwest Arm seems to be the strongest predictor of tax savings, though much of the Peninsula’s west side makes out well. The apartment-heavy downtown and North Dartmouth areas are hit hard, while suburbs (unless recently developed) generally overpay, but just slightly. Aside from a small number of waterfront areas, Bedford and the developing suburbs are not saving much. Sackville and Spryfield are a mixed bag, with recent development in those areas hardest hit. Rural – Compared to urban areas, rural areas tend to be more random as new construction and sales activity is dispersed while “hot” market areas tend to be highly targeted. The Chebucto Peninsula appears to make out reasonably well overall. The Head of St. Margaret’s Bay area is most favoured, while farther flung locations like Prospect have a more even balance. Unfortunately for the Eastern Shore, it looks like the shorter the drive to the city, the better your tax relief. Porter’s Lake is a mixed bag, and most communities past Jeddore pay a little bit more. Sheet Harbour is case in point, a very small handful of savers while most overpay mildly. The hardest hit property is a nursing home which pays an additional $5,000 in property taxes under the CAP. In aggregate, the outer rural areas of the municipality pony up an extra $110,000, while the rural areas within city commute distance save nearly $750,000. The level of income detail in rural areas is less fine-grained, but broadly, we see this pattern repeated when comparing the Chebucto Peninsula to the Eastern Shore. Despite the prolific shifting of taxes among tens of thousands of accounts, for most residential rate-payers in HRM the whole program may as well not exist. We estimate 45% of properties have their taxes adjusted (upwards and downward) by less than $200 per year, with the average bill enjoying less than $10 in savings. If we expand our bounds to adjustments of less than $500, we capture approximately 88% of all accounts, though now on average they have to pay $30 extra. Even at the extreme end of this sample, $40 per month is not exactly a significant level of tax relief. For the vast majority of households, the existence of the CAP does little to foster stability, predictability or affordability over an unadulterated assessment system. With the vast middle-ground essentially playing musical chairs with small dollars, the real impacts are felt in the outliers. The maximum overpayment is limited by the artificial inflation of tax rates (roughly 11%), however the maximum discount has no similar limit; it is dependent on local market trends and the length of time a property remains capped. Thus the program tends to siphon tax dollars from a broad base of chronic over-payers and deliver them in considerable amounts to a relatively small number of super-savers. The 403,000 souls in HRM are organised into just over 173,000 households; groups that occupy a single dwelling unit (usually based on family relations). Most of these pay more under the CAP. About 30% live in apartments that are not eligible for the program, and thus pay rents inflated by higher property taxes. Another 27% occupy eligible residences, but still pay more because the higher tax rate overwhelms their modest assessment discount (or lack of discount if newly purchased). So more than half, 57%, of all households in the municipality are losers, overpaying by an average of $275 per year. The majority of this unfortunate group will always pay more because their residences do not qualify for the program, or their capped assessment will simply not build up a sufficient discount over time. In total, the CAP extracts around $27 million from this bunch – a hefty sum on top of the taxes they fairly pay. Around $10 million of this is used to benefit land that is likely vacant but classified as residential, while the remainder is redistributed to the winner households, mostly in small amounts. Yet there are some very lucky recipients of this involuntary largess. Tax discounts in excess of 60% are not uncommon, and there is more than one tony street address that receives a larger tax break than the combined saving of entire mobile home parks. The top 1% of households are afforded an average tax break of $1,500 per year. In total, this group enjoys more than $2.5 million of tax savings. In other words, it’s likely that the top 1% of beneficiaries are receiving around 15% of the total benefit collected by households, and much of this flows to high-income areas. Ultimately, tax policy is public policy, and the most fundamental test of public policy is whether it achieves its ends. It is a good and worthy goal that families not be forced from their homes by sudden tax spikes. It is also good that funding for local government be raised in a way that gives households stability, predictability, and affordability. Does the CAP achieve any of this, and to the extent that it does, is it worth the cost? Property values and ability to pay are closely aligned, but not perfectly. There are always those who will have difficulty when taxes on the former unexpectedly outstrips the latter. They deserve protection, but the CAP is not a precise tool; for every property owner truly assisted, many others receive unneeded relief, or are undeservedly burdened. Beyond this, most households would experience stability and predictability in their property taxes regardless of the CAP, and the majority would actually have improved affordability without it, if only mildly. So this is the outcome of the CAP, ten years after full implementation. Are we achieving these feeble results at an acceptable cost? Can we only provide peace of mind in taxation through a system that demands someone else’s sacrifice? Is it acceptable that we systematically target people like rural nursing home residents, low income apartment dwellers, first-time home buyers, and downsizing seniors to make those sacrifices? And is it acceptable that we provide only meagre relief to the residents of mobile home parks and housing co-ops, while systematically directing the greatest savings to neighbourhoods with lowest need? Surely we can do better than this. ©2017 Turner Drake & Partners Ltd. all rights reserved. Contains information licensed under the Open Data & Information Government Licence – PVSC & Participating Municipalities, and the Open Government Licence—Halifax. Analysis and conclusions are the product of Turner Drake & Partners Ltd., and do not necessarily reflect the views or endorsement of Property Valuation Services Corporation, the Halifax Regional Municipality, or any other entity. Whilst every effort has been made to ensure the accuracy and completeness of this document, no liability is assumed by Turner Drake & Partners Ltd. for errors or omissions. This is distributed without charge on the understanding that the contents do not render legal, accounting, appraisal or other professional services. For more information on this analysis, contact Neil Lovitt, our Senior Manager of Planning & Economic Intelligence at 429-1811 ext. 349 (HRM), 1 (800) 567-3033 (toll free), or nlovitt@turnerdrake.com. Nova Scotia’s 2018 Preliminary Property Assessments are available on the Property Valuation Service Corporation (PVSC)’s website, and there is a brief window to discuss assessments with PVSC assessors prior to the assessment roll being finalized on December 1st. 1) It provides a higher level of certainty in preparing tax budgets for the 2018 fiscal year (for both the owner, and the municipality). 2) It provides property owners with an opportunity to address concerns with 2018 assessments outside of the formal appeal process, and before the values are finalized and inserted on the official assessment roll. 3) Owners who are not satisfied with the results of pre-roll consultations can still file a formal appeal when official assessment notices are received in January. Preliminary consultations are typically less formal and more timely (and thus cost effective) than an appeal. This is especially so because at the “pre-roll” stage, assessors aren’t in the position of defending an assessment that has already been published. The best time to address an assessment issue is before the problem becomes one. The link to proposed 2018 assessment data is as follows: https://www.pvsc.ca/en/home/findanassessment/searchbyaan.aspx. Preliminary 2018 assessments are publicly available; owners will need their Assessment Account Number and PIN Access Code (which can be found at the top-right hand corner of their 2017 Assessment Notice) to access the underlying valuation records. Giselle Kakamousias is the Vice-President of Turner Drake’s Property Tax Division. Her experience negotiating and appealing property assessments is extensive (don’t be fooled by the photo - her calculator is older than some of her colleagues): it is a wise property owner who follows her advice. If you’d like more of it, she can be reached at (902) 429-1811 ext. 333 or gkakamousias@turnerdrake.com. Five years ago, the Chronicle Herald reported that some of Nova Scotia’s churches were exploring the option of deregistering their buildings’ heritage status under the provincial Heritage Property Act. 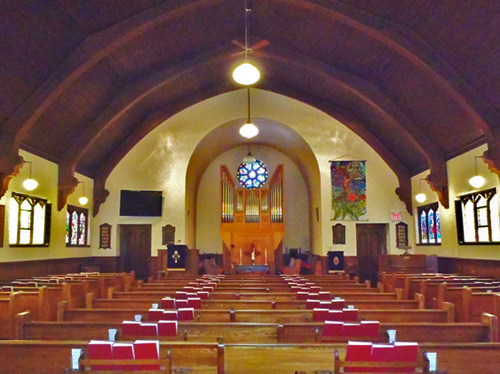 Nova Scotia’s churches are often their town’s signature property, featuring architectural details ranging from elaborate stained glass windows to ceilings built by 19th century shipwrights using the same techniques used on the hulls of wooden ships. But cultural and demographic shifts have reduced demand for churches in the province. Dwindling congregations mean reduced budgets unable to cope with the high costs of maintaining and operating historic properties. Deregistration is required for demolition, the only option some congregations saw in the face of financial realities: maintenance requirements outweighed the ability to keep these architectural gems standing. Recent years have seen other churches amalgamate congregations, keeping and maintaining a single building while selling the rest off for (hopefully sympathetic) redevelopment. A more literal beacon facing a similar threat of extinction is the Canadian lighthouse. Changing technologies have rendered redundant their function, if not their cultural attraction. In May 2008, Parliament passed the Heritage Lighthouse Protection Act, a bill to designate and preserve lighthouses of historic significance. 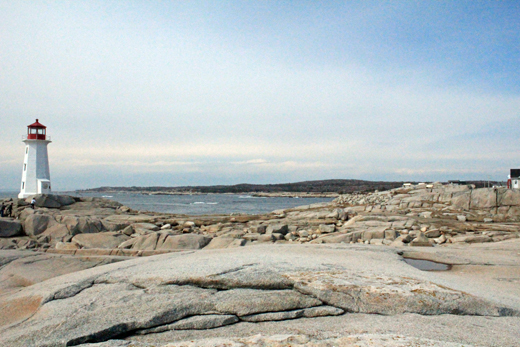 It took effect in May 2010, only to be followed in June by an announcement declaring almost all Canadian lighthouses surplus, no longer to be maintained by the Coast Guard. Since then, community groups have become the champions of select historic lighthouses, while the rest, presumably, will suffer the same fate as many an unfortunate ship along our rocky coasts. The foregoing each illustrate the perils of functional obsolescence: when a building’s functionality no longer meets market demands only its cultural significance can protect it – and then only if a champion steps up, e.g. government, community group, or passionate property owner. Urban heritage properties are particularly susceptible to rising functional obsolescence due to the high value of the land on which they sit: the financial rewards of redevelopment contrast starkly with the economic pitfalls of retaining and maintaining them. Demolition is tempting. This year we celebrate Canada 150. With our history and heritage, for better or worse, on prominent display, we decided to turn our attention to the uphill battle faced by commercial heritage properties in Halifax. Hemlines are the harbinger of stock prices. Construction of the tallest skyscraper marks the dawn of recession. Floorplates sound the death knell of heritage properties? Downtown heritage buildings in Atlantic Canada are at an inherent disadvantage versus modern construction because they are simply too small. Even 30-year-old buildings are feeling the strain imposed by their new, more spacious contemporaries, whose design is able to accommodate demand for open concept offices. In Halifax, total demand has yet to catch up with new supply. Rental rates are restricted and tenants can afford to move into the new buildings, leaving the last generation of Class A office space struggling to stay relevant – and occupied. The trend is toward larger floorplates as companies are opting for large, open concept offices with collaborative workspaces and few individual offices. Downtown Halifax doesn’t have a supply of unused historic warehouses with high ceilings and large floorplates ripe for conversion well suited to modern tastes. Instead, our heritage properties are mainly small buildings, 3-6 storeys high and with floor plates between 1,000 and 6,000 square feet (typically at the lower end of this range). Halifax has a few examples of what can be done to overcome this drawback. Barrington Espace and the RBC Waterside Centre both maintained the façades of a number of adjacent heritage properties while completely overhauling their innards, joining the buildings within to allow for larger floorplates (Saint John’s CentreBeam Place is another example of where this technique was used successfully). If done carefully, this can present a best of both worlds compromise. If not, the result may be the Disneyfication of heritage: it looks about right, but there’s no soul. Either way, it is not an option for detached heritage properties: they are left to find occupants happy with the original floorplates size. Barrington Espace, RBC Waterside Centre, CentreBeam Place…thanks, Google Street View! Heritage properties need a certain tenant. The predominant competitor of the heritage office building is the home office: to attract a tenant away from this “free” space, a historic building must provide cachet and interest, and must find a tenant who wants (or needs) both as marketing tools for their business. Heritage tenants are drawn from a pool of largely creative firms represented by public relations and marketing firms, IT companies, and (interestingly) employment recruiting agencies. Often, these firms are start-ups; there is a symbiotic relationship between the two, with the heritage property providing an inspiring ambiance (and maybe cheap rent: see below), and the company providing income and life to the building. What the heritage property has more trouble providing is a flexible workspace that can grow with the company. When they become too large for their space, they must seek a larger floorplate in a more modern building. There is a happy medium: mid-sized companies who could occupy an entire heritage property as a single tenant. But in Atlantic Canada, most companies are either large or small, a by-product of provincial regulatory demands which force companies to “get large or go under” (Atlantic Canada is made up of four small provinces each with their own regulatory requirements for businesses: half the population and half the land area of any other province, but four times the regulations…but this is a topic for another day). There are three classes of champions for heritage properties: passionate owners (hopefully with deep pockets), community groups who recognize the social benefit of maintaining our built heritage, and governments which either have a measure of both these characteristics or are open to the influence of those who do. Heritage property owners must appreciate the unique features of old buildings. To quote one (you’ll never guess who), they “speak to you in a way new buildings don’t. There is a sense of calm, a personality. They have been there for centuries, and if the economics can work, they will be there long after you’ve turned to dust.” Ah, the economics. Heritage properties in Halifax do not attract a rental premium as they do in some larger cities, such as Toronto’s trendy Distillery District. There may be a purchase premium, albeit not driven solely by heritage, but location as well, due to the prime situation some heritage properties enjoy by virtue of having gotten there first. Halifax’s downtown is distinguished by its waterfront; heritage properties with a connection to it in particular may enjoy a purchase premium, provided this connection is maintained (pause now to be thankful for the public outcry that halted “Harbour Drive” before it started…and hopeful that the redevelopment of its first phase, the Cogswell Interchange, will be successful in repairing the fabric of the area). There is a social benefit to heritage properties, usually external to the site itself. A 2011 study by Place Economics highlighted six areas of positive economic impact attributed to heritage preservation: jobs, property values, heritage tourism, environmental impact, social impact and downtown revitalization. 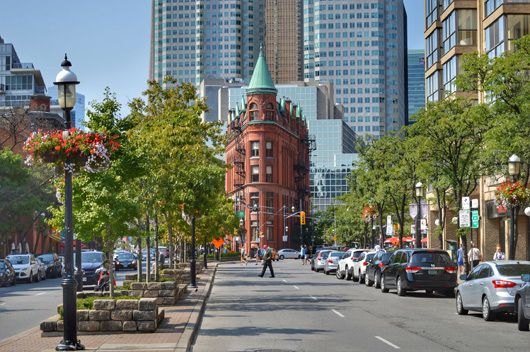 Heritage properties differentiate cities from one another, providing a unique draw to residents, visitors and immigrants alike. The world’s most successful cities have vibrant heritage architecture, often interspersed with modern buildings. Community groups recognize this and fight to preserve historic built environments, but it is often the building owners who fund these broader social benefits by bearing the increased costs of renovation and upkeep. It is here that governments can play a vital role via heritage preservation policies, but they must take care that they get them right. Halifax Regional Municipality recently commissioned a study to investigate heritage incentives. However structured, these are a means by which society as a whole, via taxes, can help pay for the social benefit of heritage properties. Two of the largest pitfalls of which governments must be wary when enacting policies to protect heritage properties both involve the risk of (inadvertently) penalizing property owners. The first is the more obvious one, wherein the owner of a protected building is prevented from redeveloping a site to a more lucrative density, diminishing the ability to make money from the property and potentially its market value. One avenue available to the city is to compensate the property owner for the diminished value by purchasing the air rights, i.e. the space above the building in which they would otherwise be allowed to build, but are prevented by heritage preservation policy. This could be accomplished either directly, with the municipality retaining ownership of the air rights, or by opening the market for air rights trading, allowing heritage property owners to sell their air rights to developers of non-heritage sites to increase the allowable height on their sites. (Yes, this has the potential to open another can of worms, but it’s a good theory if the policy is well thought out). The second potential pitfall lies in supporting some, but not all heritage properties; such as with the creation of a heritage preservation zone. While those properties (and their owners) located within the zone stand to benefit from financial incentives offered by the municipality, any heritage properties outside the zone are placed at greater disadvantage. Still competing against larger modern buildings, they are now on an uneven field against their direct (heritage) competition. The supported properties have the money to modernize without deficit to their owners’ bottom line, while unsupported properties are further penalized physically and financially. For more on heritage rights and wrongs, don’t miss our Summer 2017 newsletter, coming soon to a mailbox near you. If you are not already subscribed to this informative and gutsy publication, please get in touch with us at 902-429-1811 or tdp@turnerdrake.com. 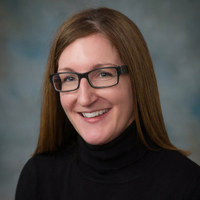 Alexandra Baird Allen is the Manager of our Economic Intelligence Unit, a position which makes surprisingly good use of her liberal arts degree in history & cultural studies, as well as her expertise in GIS. For more information on our Economic Intelligence Products, visit our website or contact Alex at 902-429-1811 ext. 323 or abairdallen@turnerdrake.com. 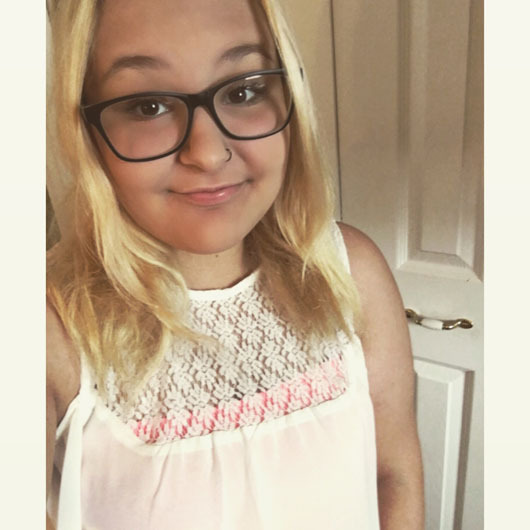 I can honestly say that these 13 weeks have been nothing short of amazing, over this time I have learned so much and gained experience that will help me throughout my life. I expected to come in one day a week for 8 hours a day and job shadow someone. I never thought that I would have my own space to work and be able to do so many things on my own. Every Tuesday morning I would meet with Ashley Urquhart (my boss for the day) and she would tell me the plan. If I had any questions that her door was always open, she was always very upbeat and happy, that made it extremely easy to talk to her. I got into a morning routine of doing certain jobs, I would do Tenders, Google Analytics, and they even let me post on their social media accounts! I got to tweet about news that I thought was important, that was probably one of the best parts of my Co-Op experience. I never thought that they would give a Co-Op student in high school this much responsibility, I am beyond grateful that they did. I always had someone close by to help me if I ever needed anything. The person sitting closest to me was Michael McCurdy, he made the day fun and I got to see how to be professional in the workplace and how to talk to clients over the phone. I worked with a great bunch of people that made this experience a lot of fun and helped me learn new things. My aunt, Patti Farewell, has work at Turner Drake & Partners for 26 years and now I see why, it is a very enjoyable place to work and everyone makes you feel welcome. The owner, Mike Turner, would always talk to me and ask me how things are going, along with his wife Verna, who would always make a point of talking to me and saying how nicely I was dressed, they were nice little conversations that made me smile. One day I got to sit in on a support staff meeting, we got lunch and talked about new ideas for TDP, I felt very included and like I was a part of the team. The Co-Op interview was with Mark Turner (Vice President of the company) it was professional like a “real” interview would be so that I would be prepared for the actual thing when I go to apply for my full time job later in life. He was very nice and made me excited to start, I later got to work on a small project for him. Right away I was being trained by two people who did exactly what I wanted to do. Ashley Urquhart and Alex Baird Allen were my safety nets throughout this time. The first few things they let me do on my own was, Tenders- finding new jobs and properties for the company to look at. The next job was Google Analytics- finding out how many people looked at the websites and how many people follow TDP’s social media accounts. They also trained me to do a few other jobs that would help me later, Data Mining- updating client’s information, Media Sheets- updating who they send things to. There were also basic jobs such as, photocopying, mail-outs and manuals. After a bit of time went by I was able to post on the company’s twitter. I was given the job of making a new flyer that would later be sent out to clients, I was surprised that they felt like I was doing well enough to be given a project that important. I spent many hours on it and got nothing but positive feedback. It’s going to be weird not seeing these people for a while, I would really like to come back for my grade 12 Co-Op and give it my all once more. Lastly I liked how much responsibility I had. They gave me my own place to work but it was also around people so I never alone. This is definitely a place I would love at work at after I finish school. Help us prevent youth migration, hire a coop student today!